Welcome to another DOAML post. Yeah, this series is slowly starting up again... If theres anything that you would like me to review from Lush or talk about skin wise then please let me know in the comments section down below! Today I am going to talk to you guys about Dear John as I bought it a couple of weeks ago and it feels fitting to talk to you guys about the perfumes that are available at Lush as I don't think that they get enough recognition. Dear John is a perfume that is sold at Lush. All perfumes that are sold at Lush are under the Gorilla Perfume brand. I don't know the exact story behind Gorilla Perfumes but I know that Lush created Gorilla Perfumes as it's own brand to compete with high street perfumes and so that they wouldn't be just sold at Lush stores from what I know. I could be wrong but I'm sure thats somewhat the story. Gorilla Perfumes have their own store within Islington, London and have a full on gallery within the Lush Oxford Street superstore. The best way to tell you the scents that make up Dear John is to just list all of the scents instead of saying this is the base note as I feel like they change a bit depending on your skin so it's best to just say. Dear John contains Cedarwood, Coffee and Tobacco which gives it a deep smoky scent, Lime to give it a bit of a citrus kick, Pine, Clove, Coriander/Cilantro depending on where you are within the world and Vetivert. The perfume comes in many forms but I decided to get the body mist as honestly its the best amount for your money as a 150g body mist bottle comes in at £13 which is pretty amazing. There is also a solid version for £7 and other bottles for various prices. When you spritz this, you instantly get the smokiness of the coffee/cedarwood/tobacco/vetivert but when it settles you get more of a citrusy scent from the Lime. It's such a great scent for all year round but I like it most within either Spring or Autumn due to the smoky-sweetness of the product. You also get a sort of soapy hint when it has settled which I kind of like because I've never had a fragrance that did that before and it just makes you stand out when theres a lot of scents going on in the room. I also love that the scent stays on the skin for quite a while and if needed you could buy the solid just to top up on the go as the bottle is quite clunky when it comes to storing in your bag. I would give this a 9.5/10. The only problem that I have found with it is that the other bottles are very pricey and if this wasn't the case then I would have every type of this fragrance within the confinements of my beauty drawer! I love the sweet smokiness and I love how the Coffee and Tobacco isn't off putting but adds more to the smokiness instead of being so strong that you can't smell anything else except Coffee and smoke. Have you smelt this within a Lush store? What do you think? Have you tried any of the Gorilla Fragrances that are on offer within Lush? Let me know in the comments section down below! 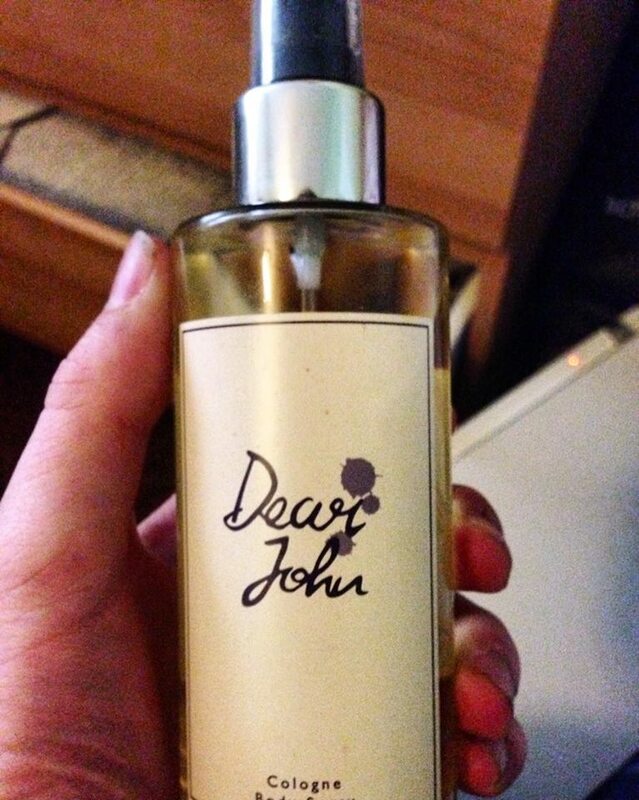 Click on Dear John to find out more about the fragrance! I hope that you have enjoyed this DOAML post and I hope that you read the next post that is on my blog! If you want to keep up to date then follow my BlogLovin!